Cooper Lighting Sure-Lites® Self powered combination exit uses two 0.78-Watt LED lamps that have current rating of 0.09-Amp. Combination exit has power rating of 1.55-Watts at 120-Volts and 1.45-Watts at 277-Volts. It comes with green colored EXIT legend and runs on sealed Ni-Cad battery. 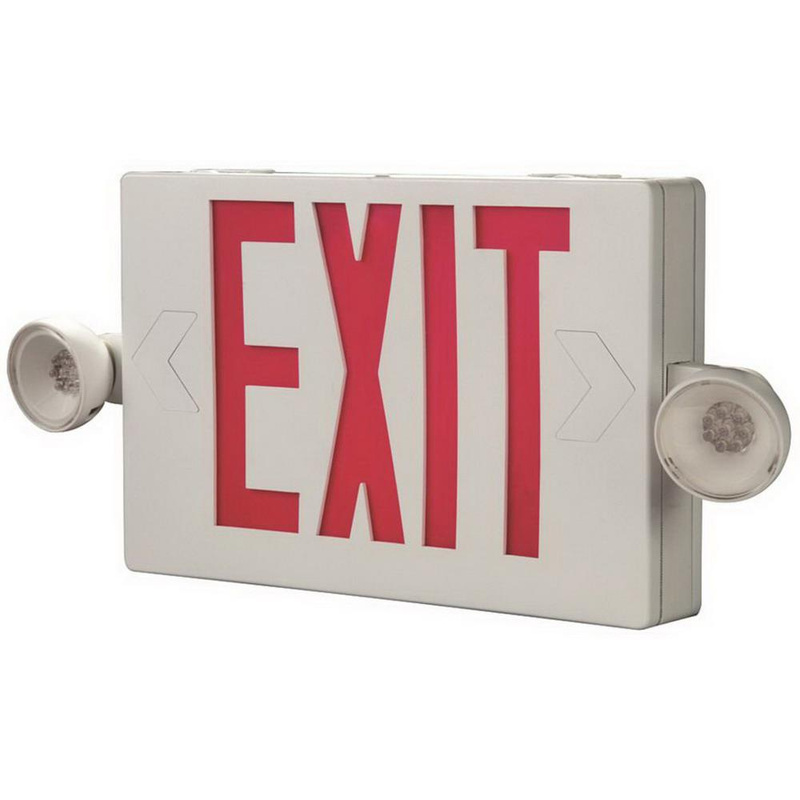 Solid-state switching combination exit with LED heads, has thermoplastic construction and supports wall/ceiling/end mounting. It measures 16-9/16-Inch x 3-15/16-Inch x 8-1/4-Inch. It has temperature rating of 10 to 40 deg C. Combination exit is UL listed and meets NEC/OSHA standards.